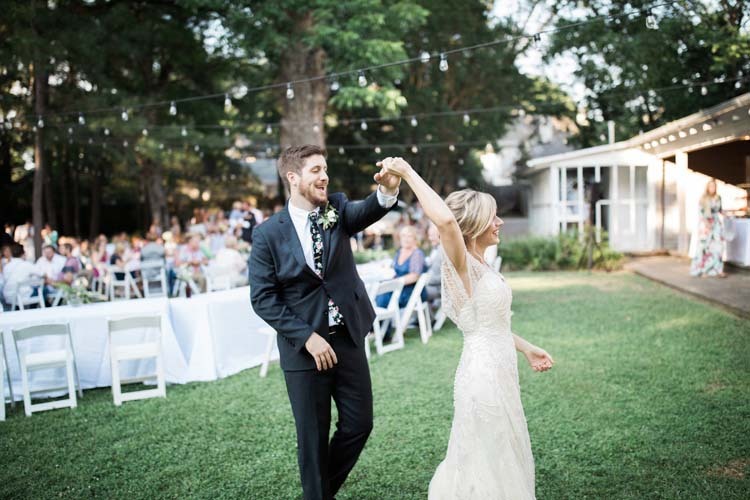 The south’s brutal summers do not care about your well-laid plans for a beautiful outdoor wedding. 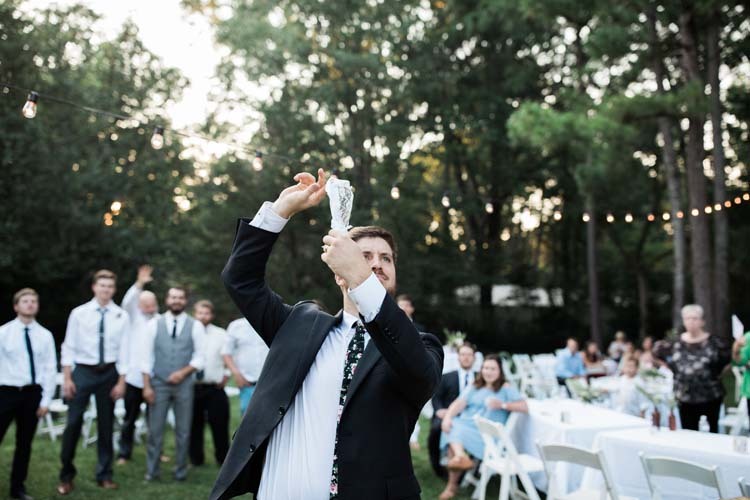 Fortunately, Ben and Lindsey were able to eek out the last beautiful bits of a temperate Mississippi spring for their June 10 nuptials at The Cedars in Jackson. 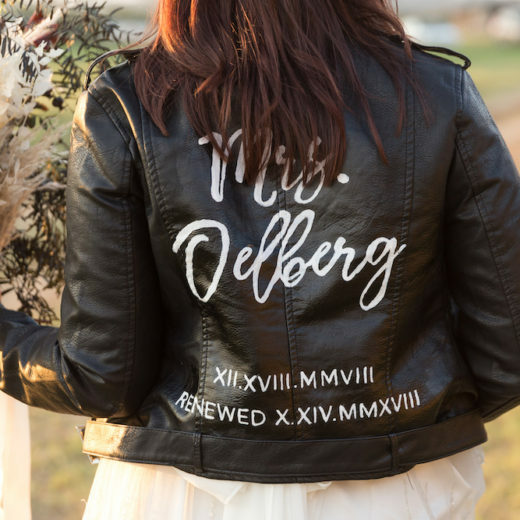 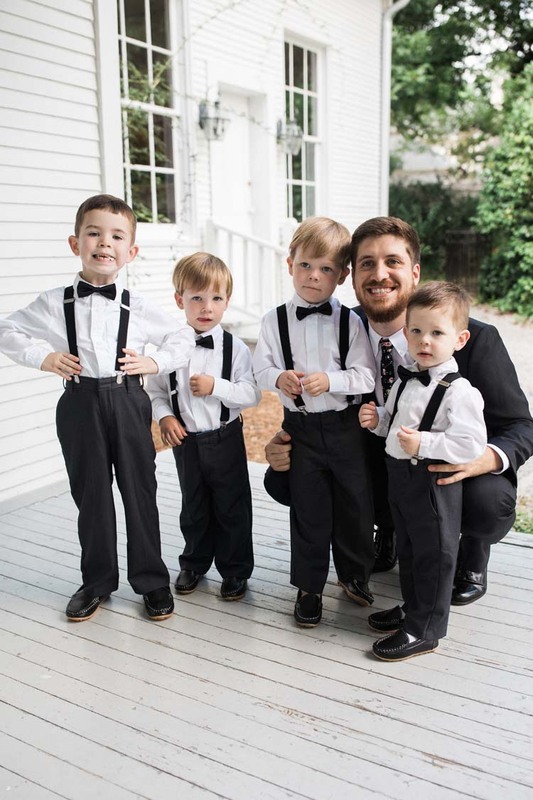 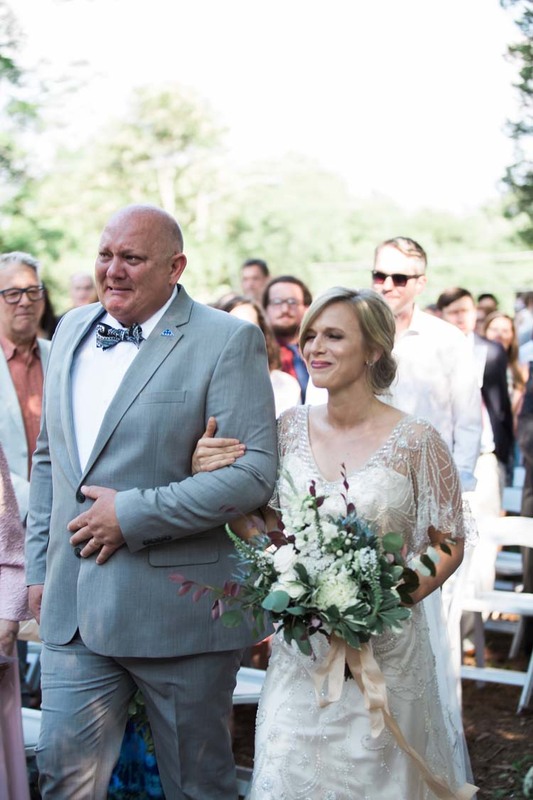 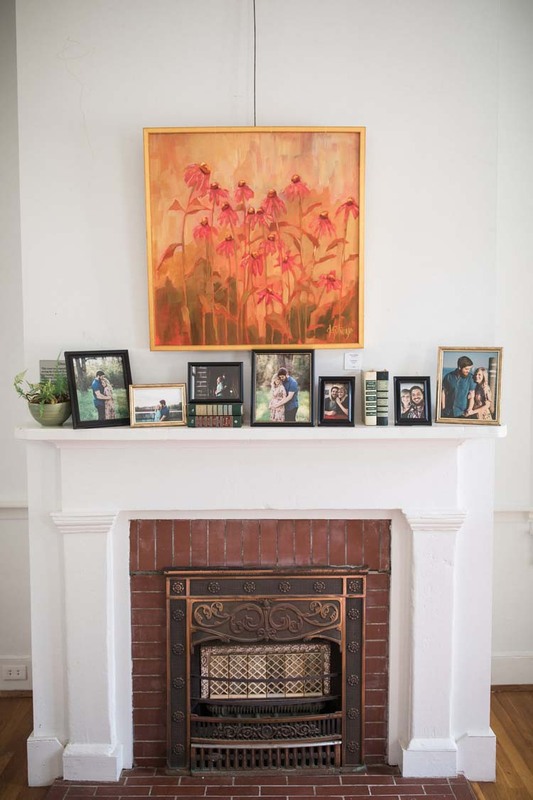 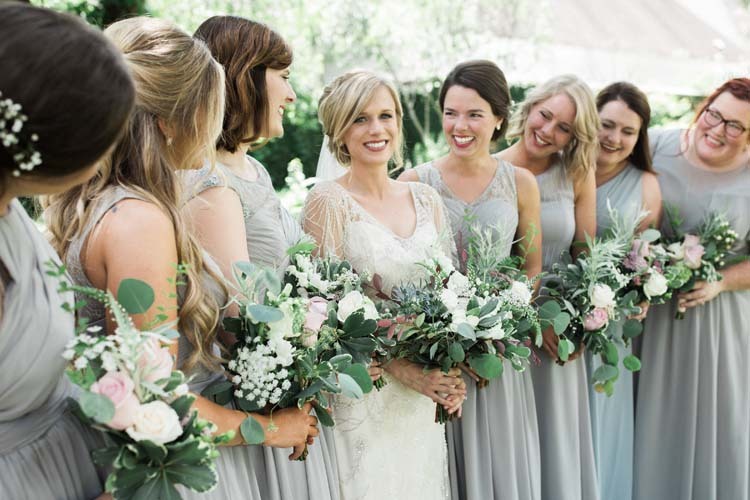 Their photos by Hannah Stewart Photography show the love and care the couple invested in each detail, from the florals by Little Bluestem Farm to the little bow ties worn by the youngest groomsmen to the thrifted mugs they gave as wedding favors. 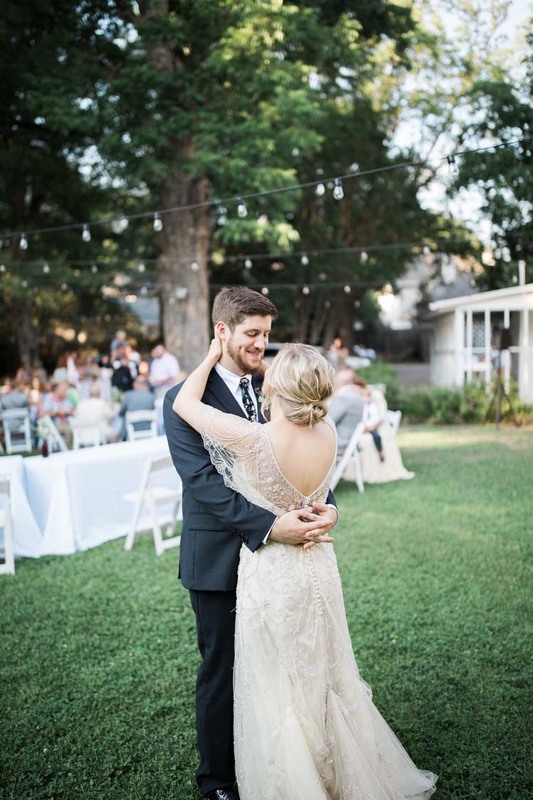 Their late spring wedding was one to remember. 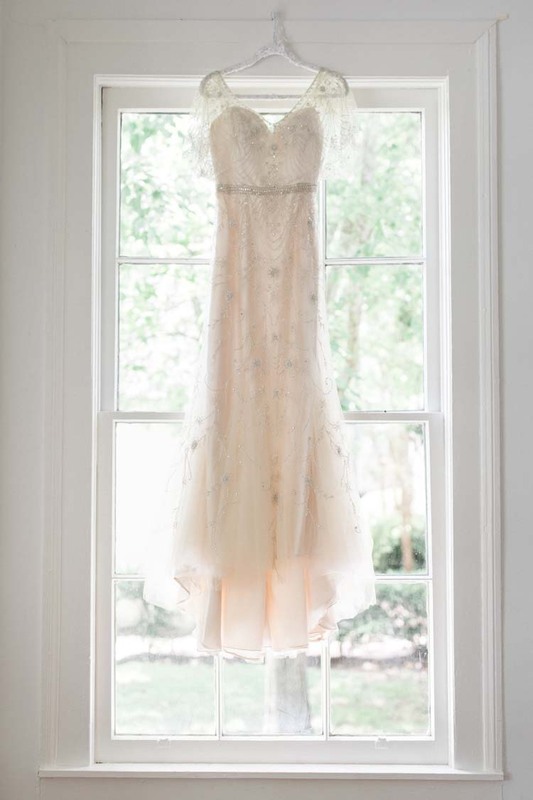 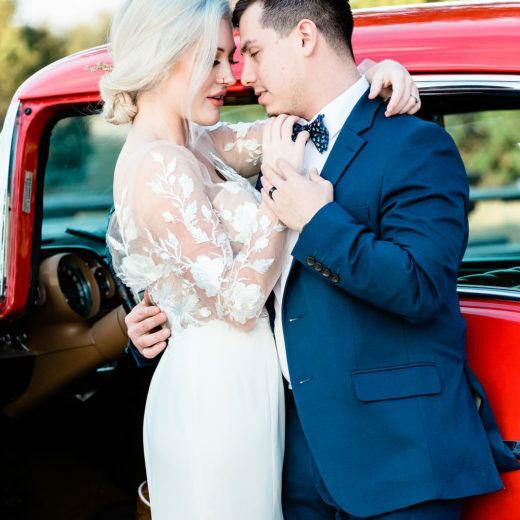 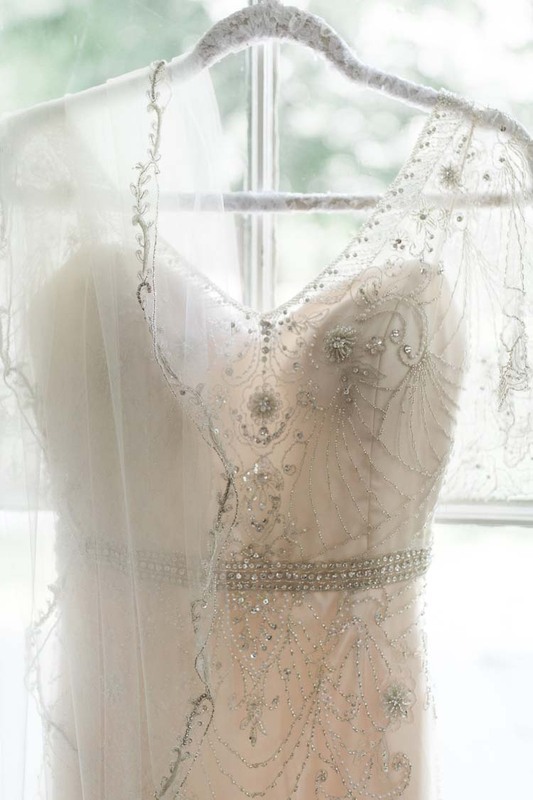 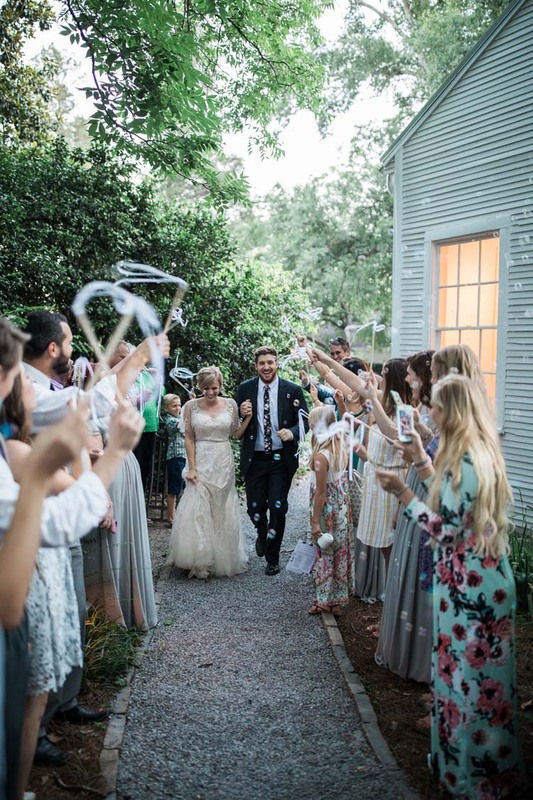 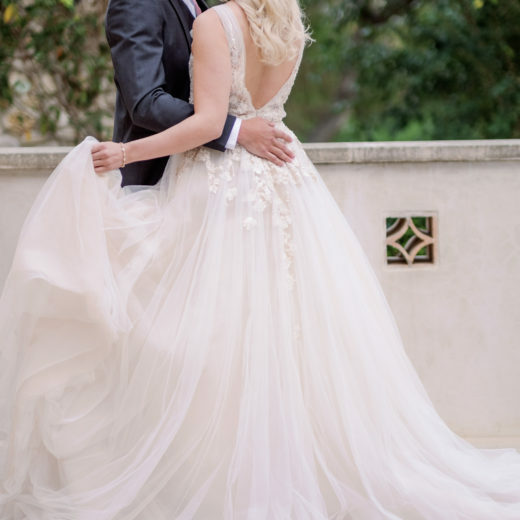 “My wedding day was the dreamiest of days thanks to all of the hardworking people who made it happen! 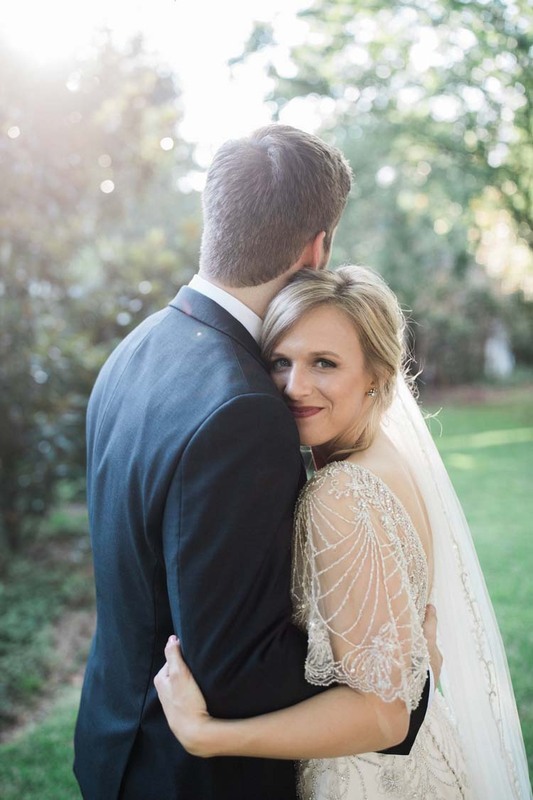 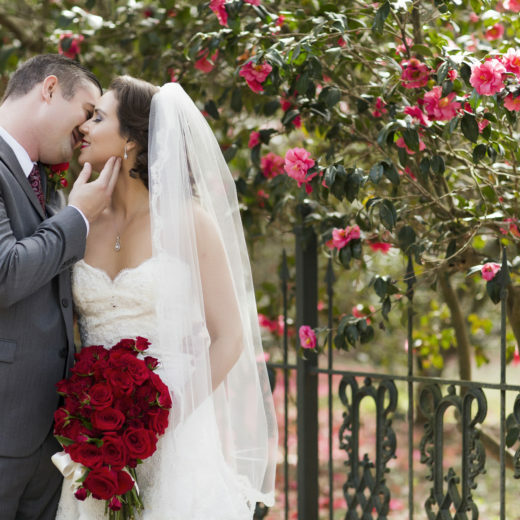 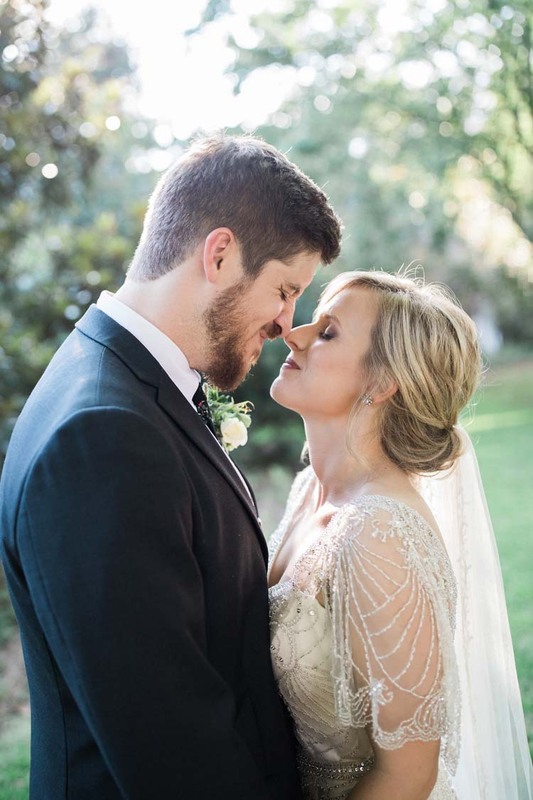 “Ben and I wanted a sweet and intimate ceremony, and certainly didn’t want to break the parents’ bank. 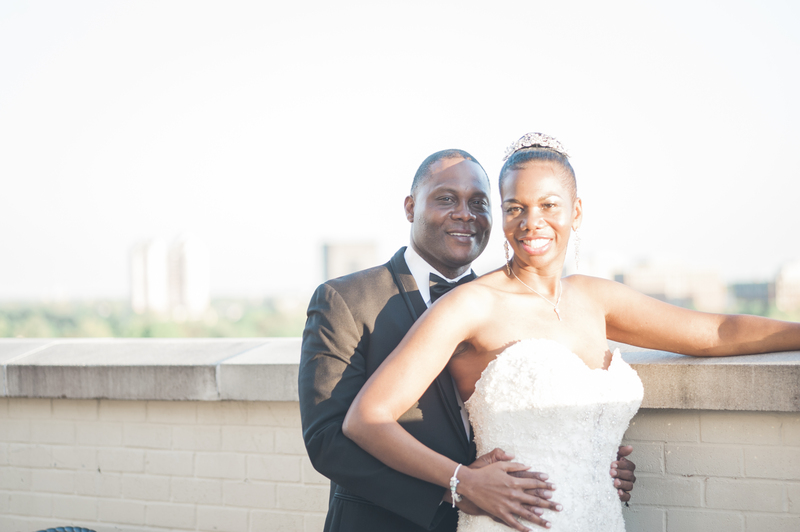 We definitely accomplished a memorable day on a dime! 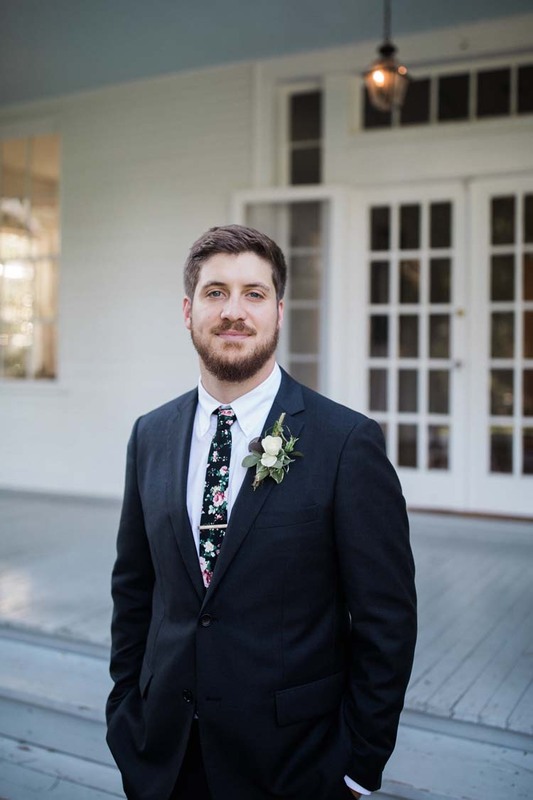 I enjoyed curating the little details that weren’t at the forefront of the mind when we started planning–the custom-made labels on all the floral pieces done by Little Bluestem Farm, the thrifted mugs we gave as favors, Ben’s floral tie. 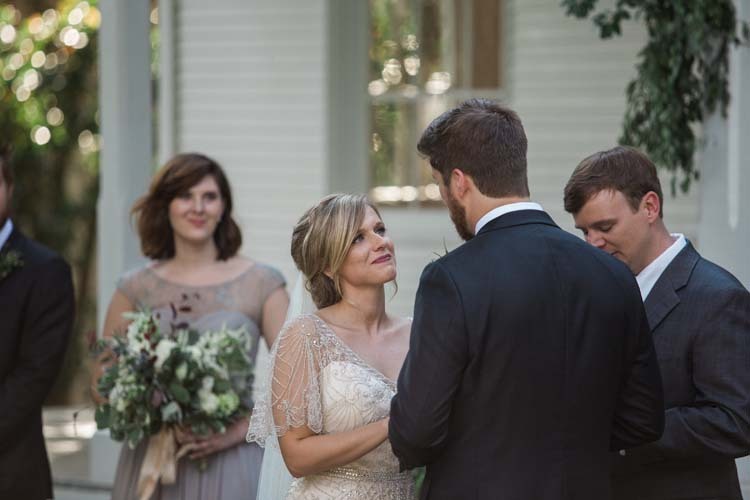 Each part of the ceremony and reception was a reflection of who we are as a couple. 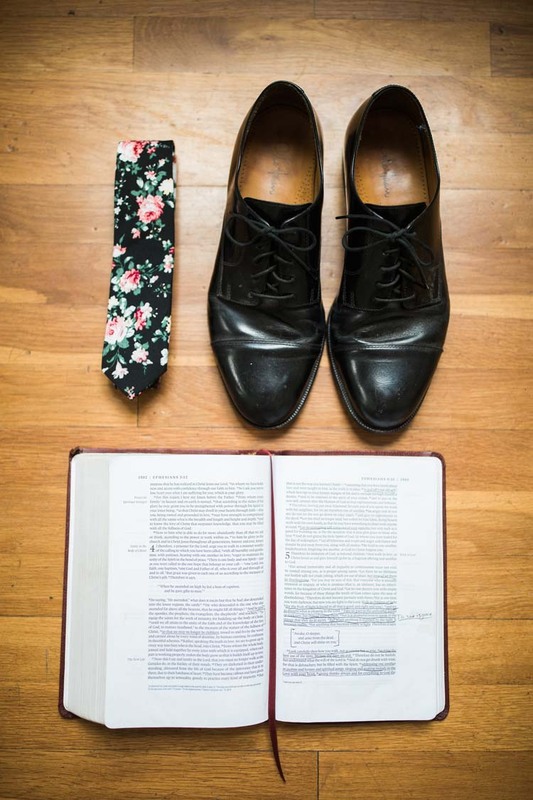 “We wanted the day to be worshipful, peaceful, full of love and encouragement. 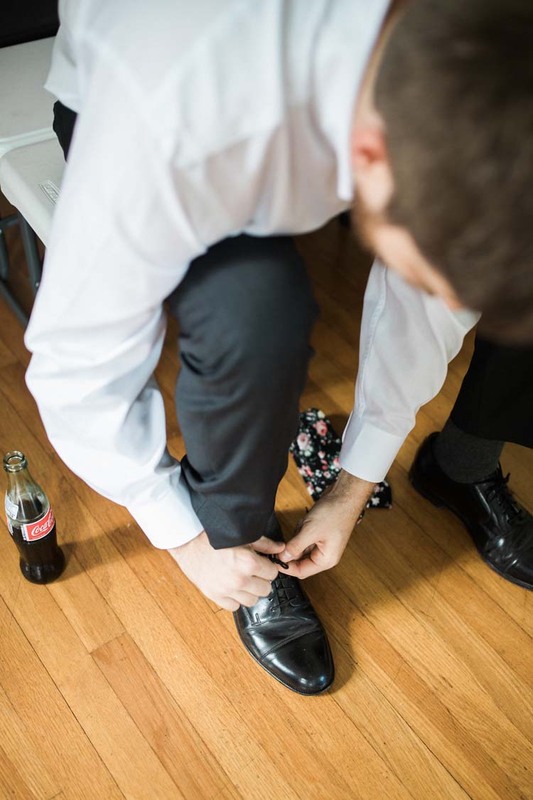 I’ll have to say, my favorite part of the day was the building anticipation as I awaited the moment I’d walk down the aisle to my groom…I still get chills thinking about it! 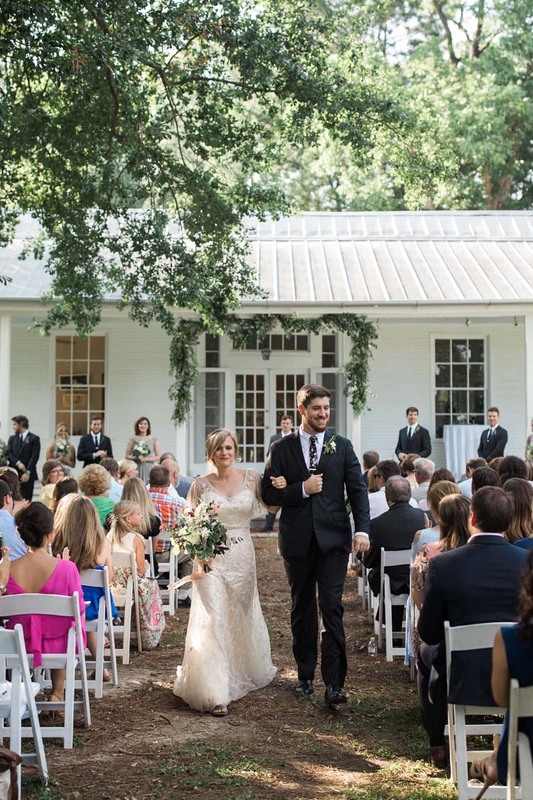 Since there’s a huge front yard and limited options to be hidden until you can reach the aisle, I actually had to emerge from a magnolia tree on the side of the house for my entrance. 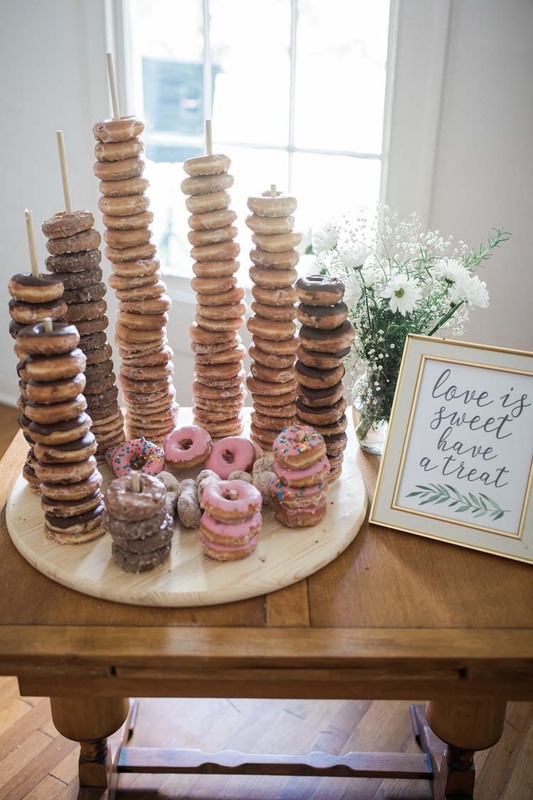 It ended up being really sweet and unique! 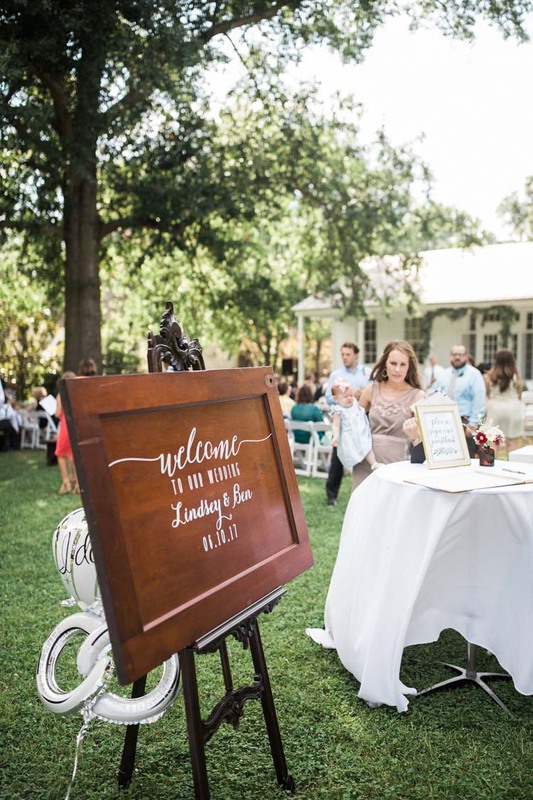 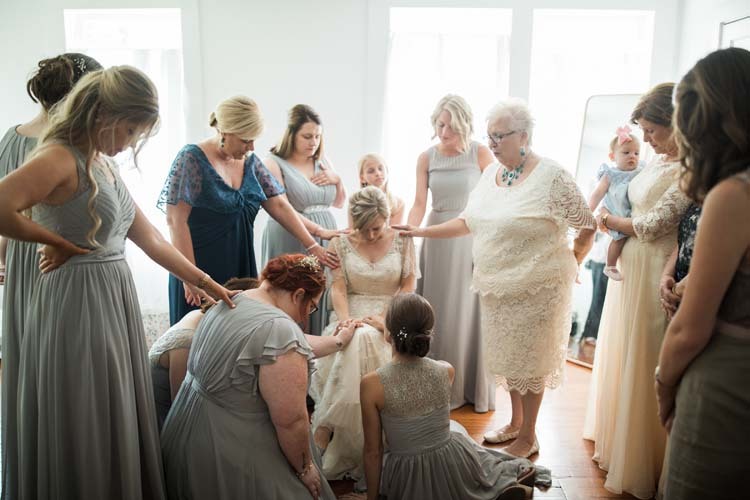 “Having known Lindsey for many years, I knew going into this wedding day how important meaningful moments were for her. 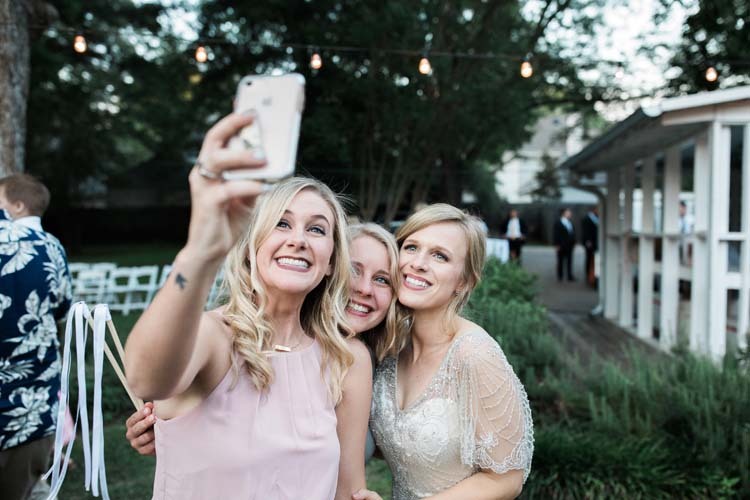 As soon as I arrived at The Cedars in Jackson, MS, Lindsey and her girls were already giddy and scurrying around with excitement as curling irons and hairspray filled the dressing room. 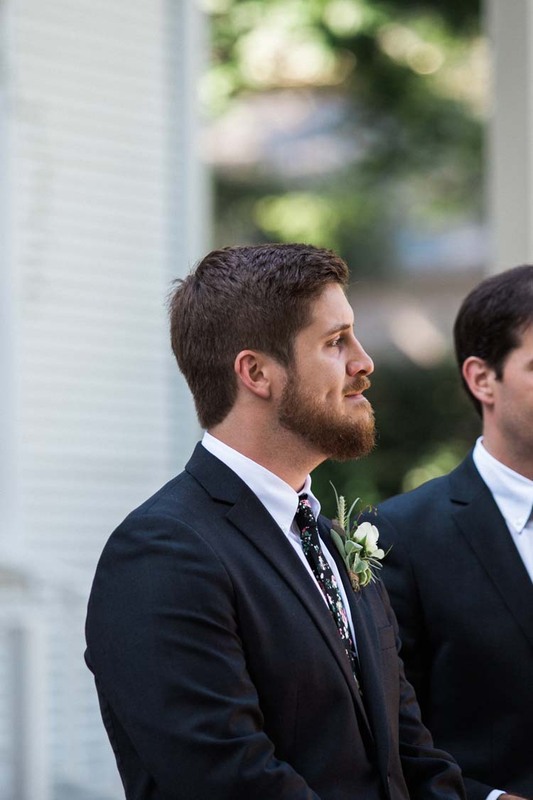 I honestly think that Blake, Lindsey’s dad, was the most cheerfully spirited one that day! 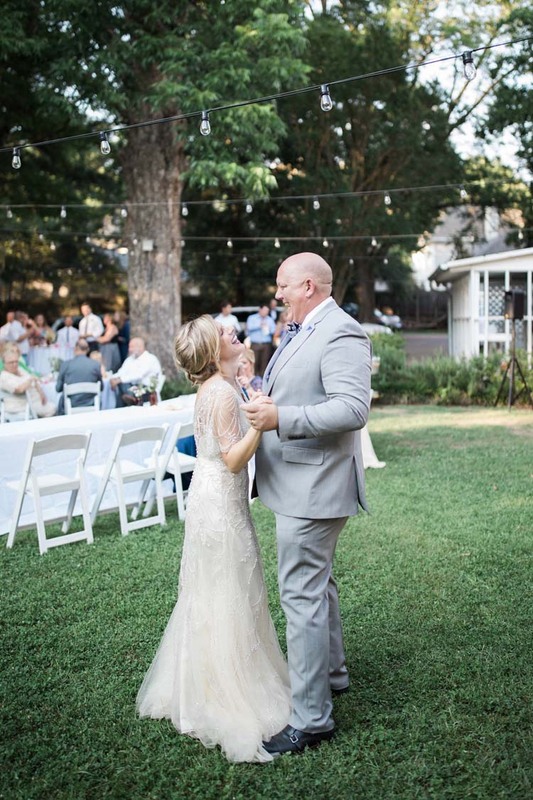 He could hardly contain his emotion and in one conversation could go from laughing to tears of joy! 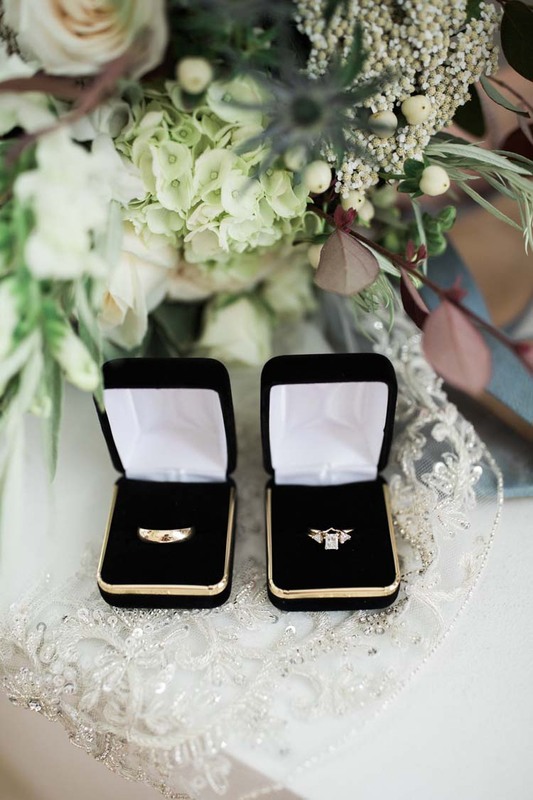 “As the day went on and the vendors added their finishing touches, the excitement and reality of “I do” became more real. 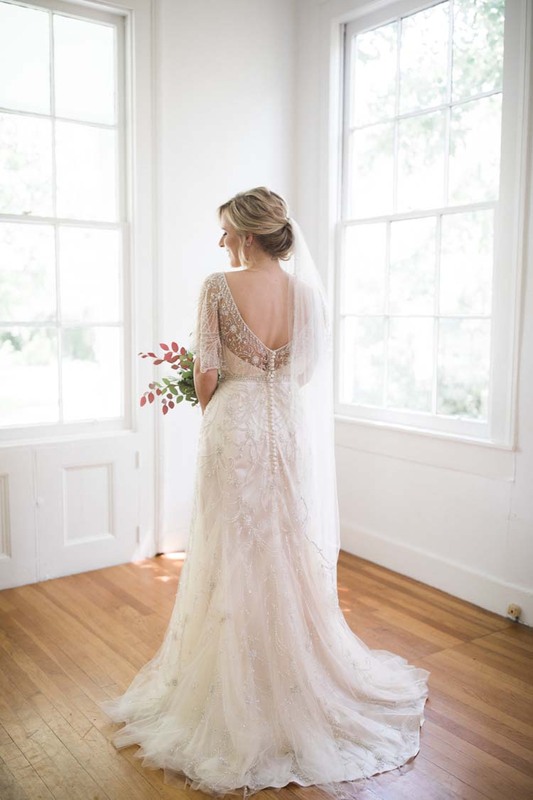 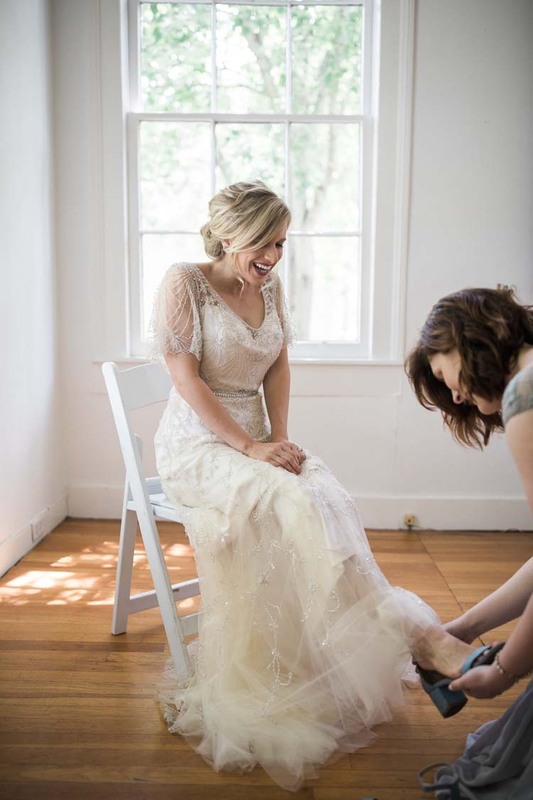 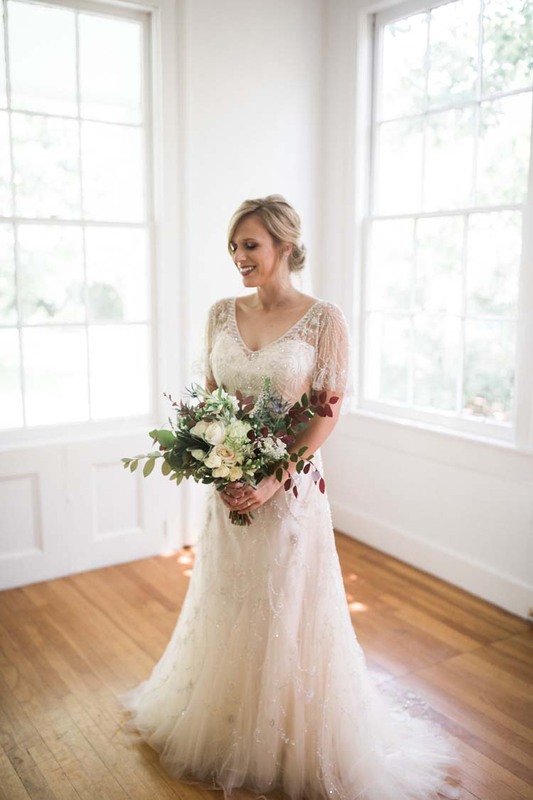 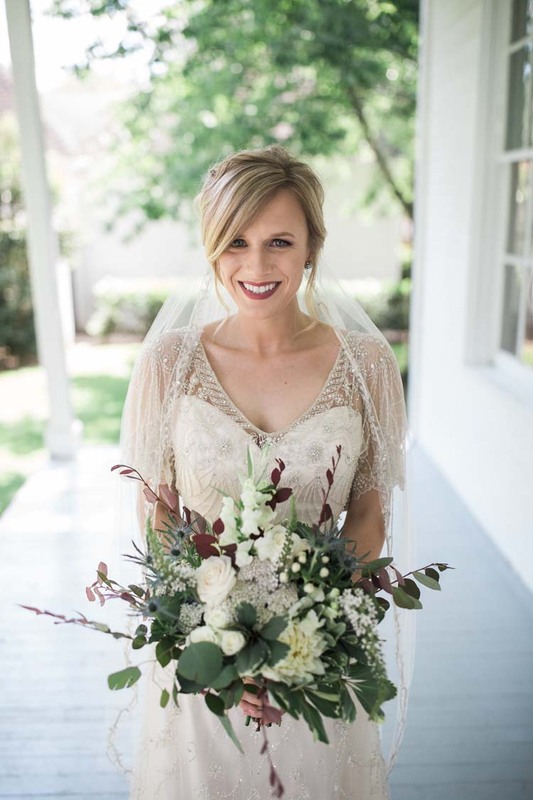 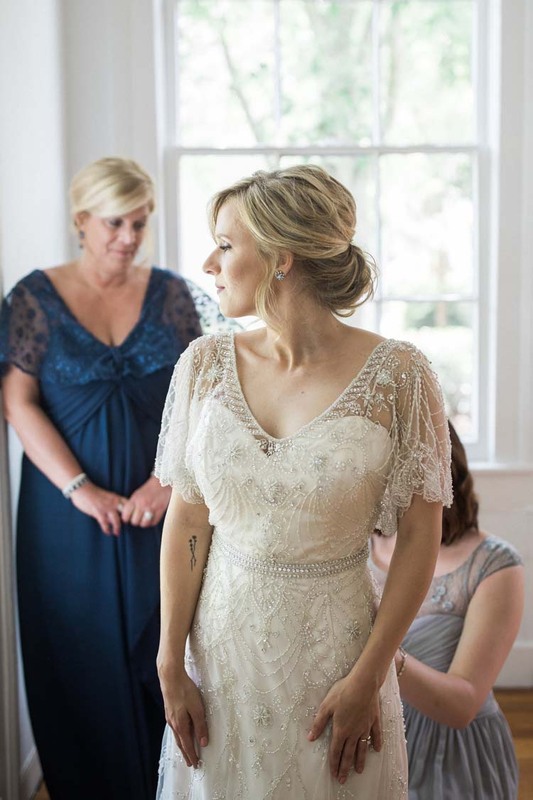 Lindsey, with the help of her mom and sister, stepped into her wedding dress and it was a moment that catapulted the whole day! 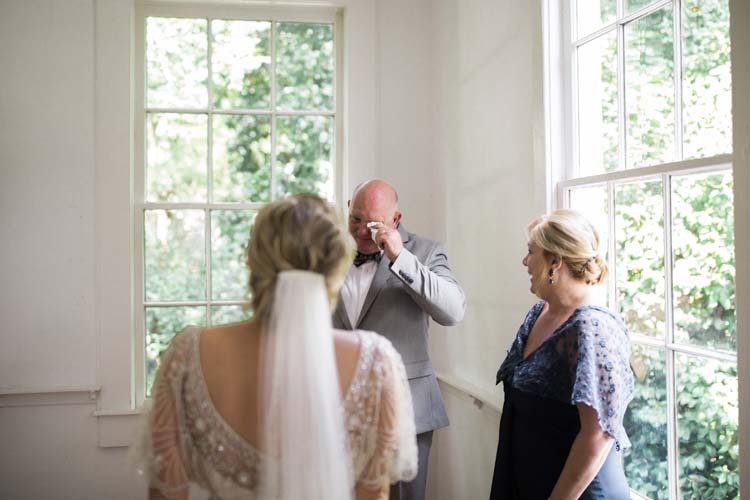 Mom was instantly in tears, Lindsey and her sister couldn’t stop giggling, it was so precious to capture! 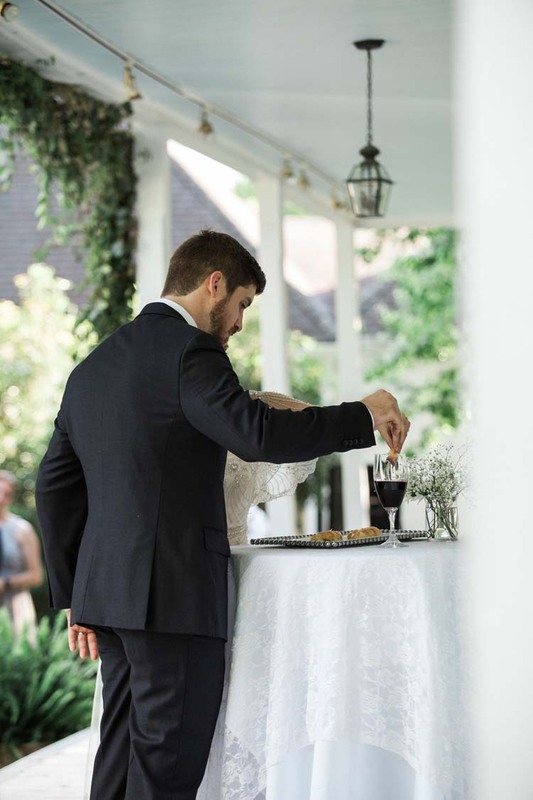 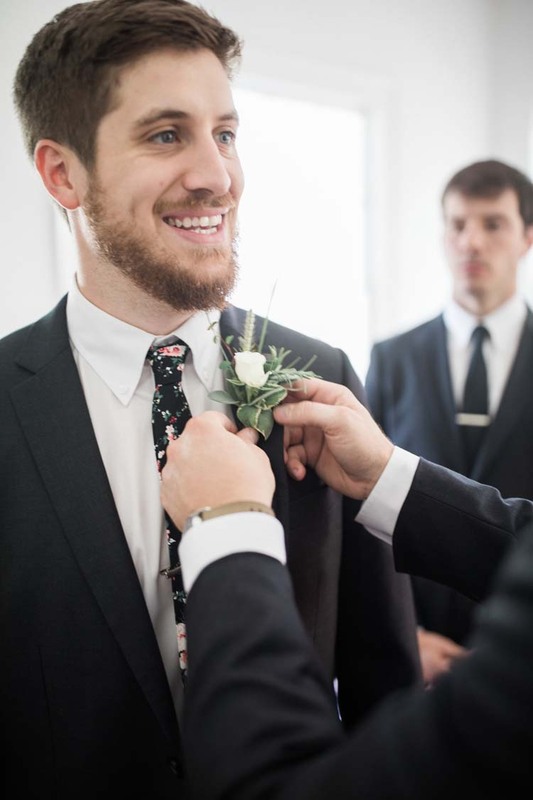 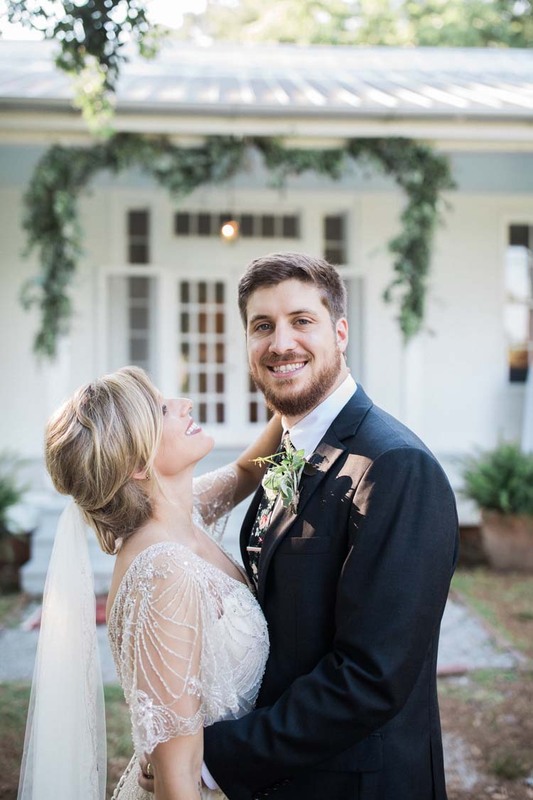 “While Ben and his guys got ready, there was certainly not a shortage of snacks, laughs, and playlist jams. 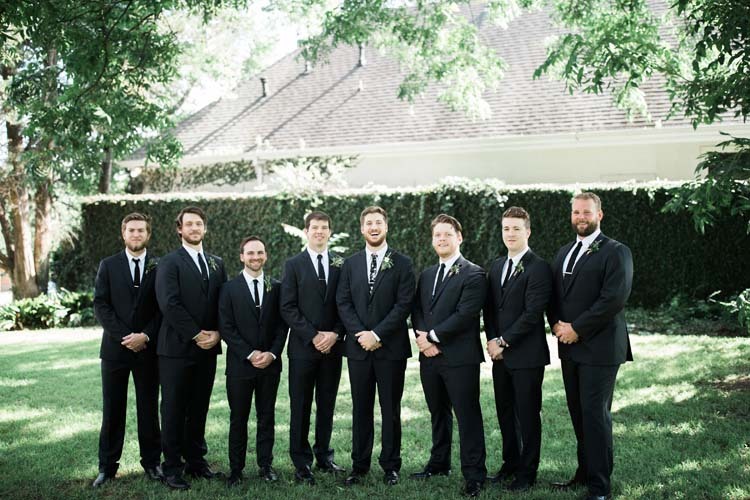 As with all groomsmen, there were jokes and funny faces throughout the day…they might have even climbed a few trees! 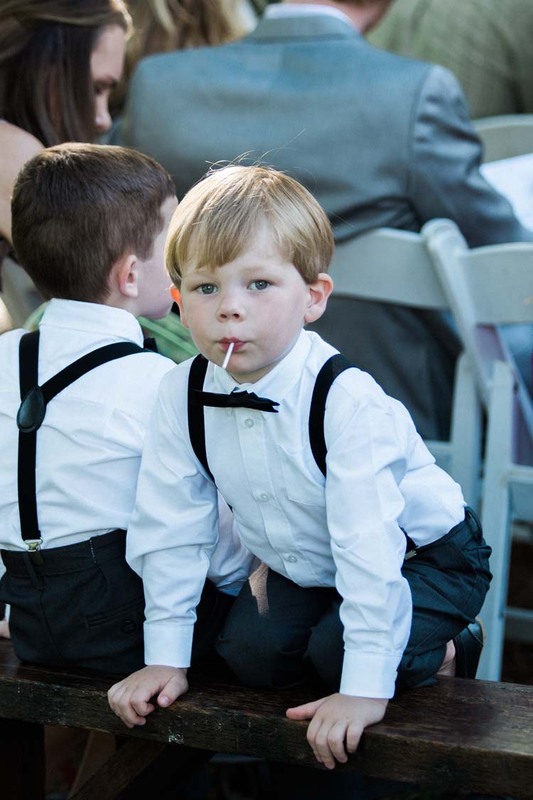 Ben’s nephews stole the show in my opinion, in their black trousers and suspenders, such dapper little dudes! 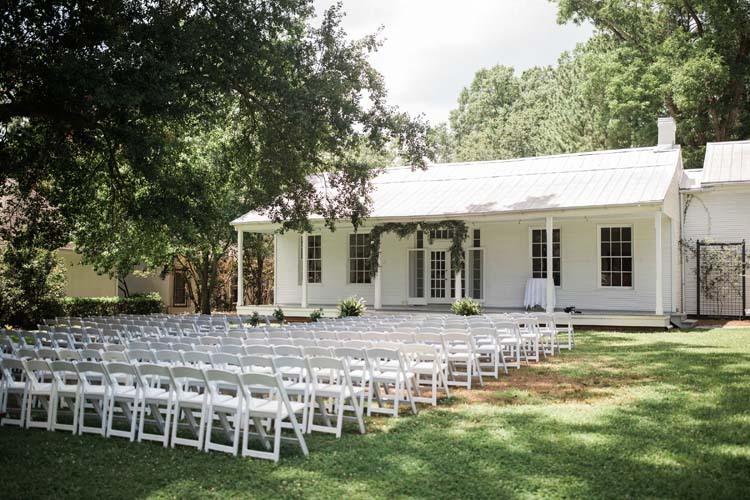 The Cedars (circa 1840) is the oldest surviving residential structure in Jackson, Mississippi. 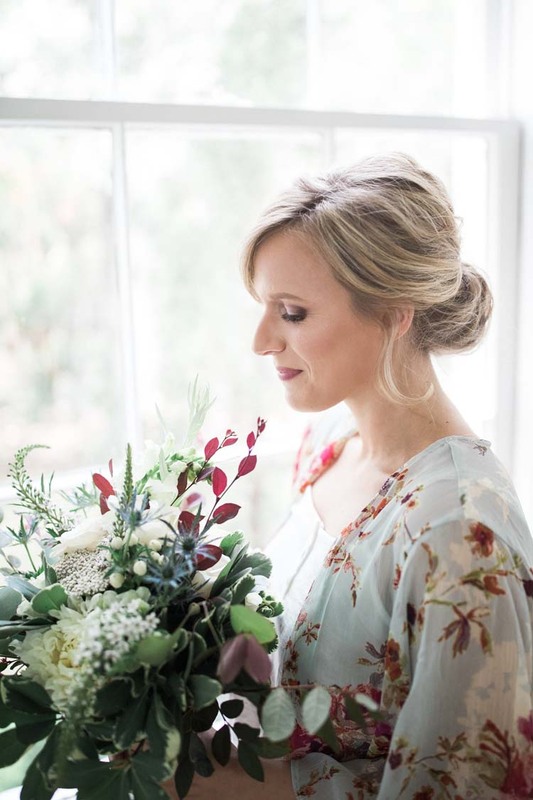 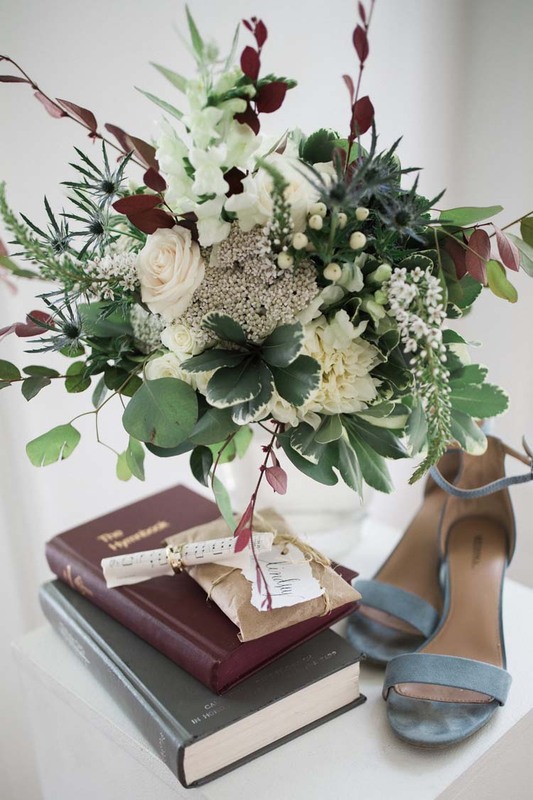 Lindsey’s bouquet, Ben’s boutonniere and other wedding florals were designed by Little Bluestem Farm. 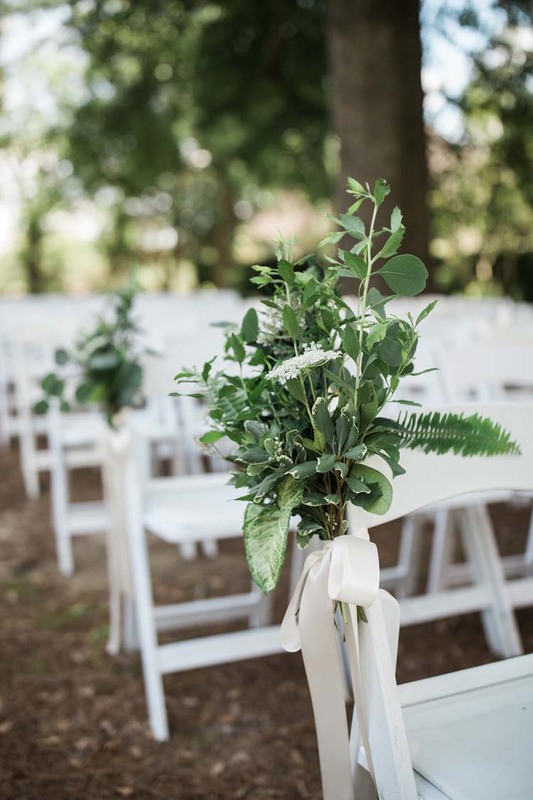 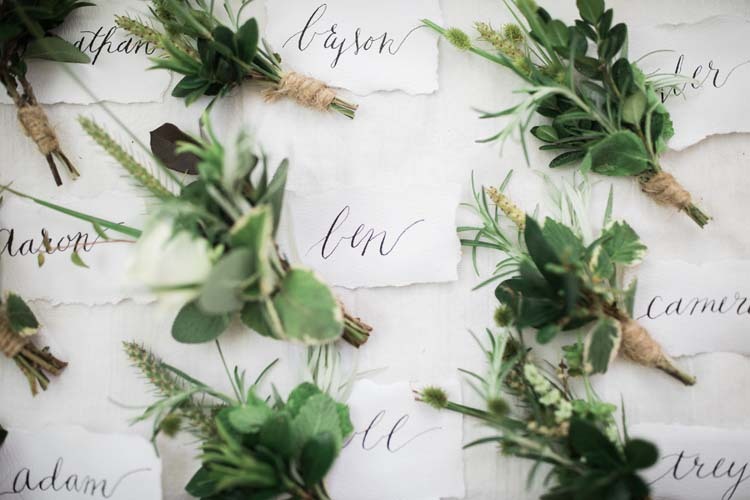 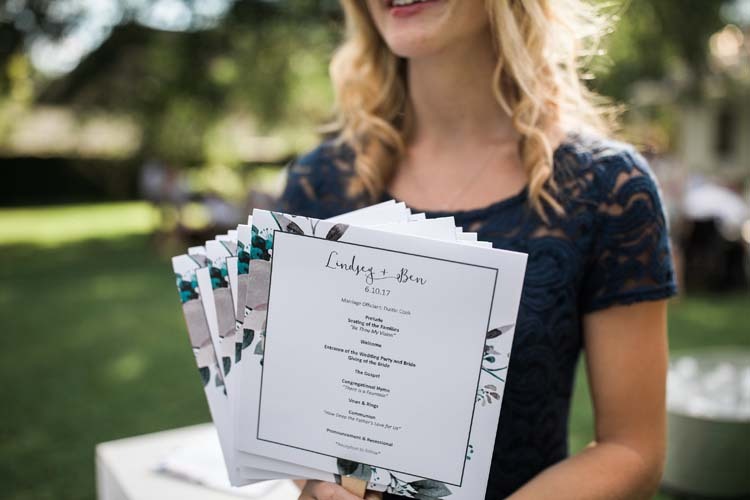 Little Bluestem Farm crafted custom-made labels for all the floral pieces, including the groom and groomsmen’s boutonnieres. 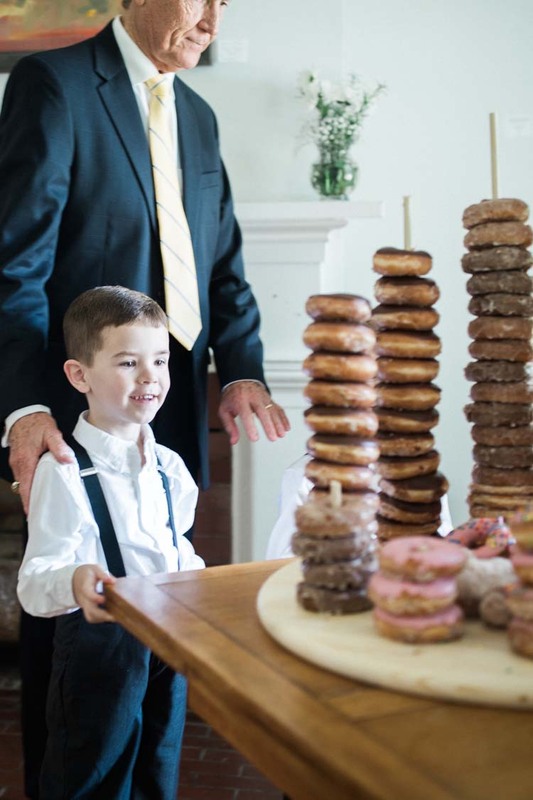 It is hard to resist a tower of Krispy Kreme donuts! 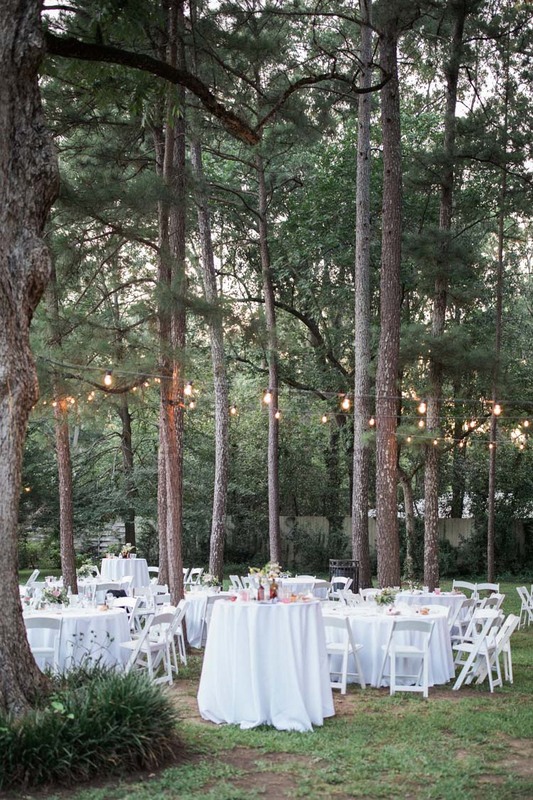 Top It Off Events set the stage under the pines with rentals and lighting. 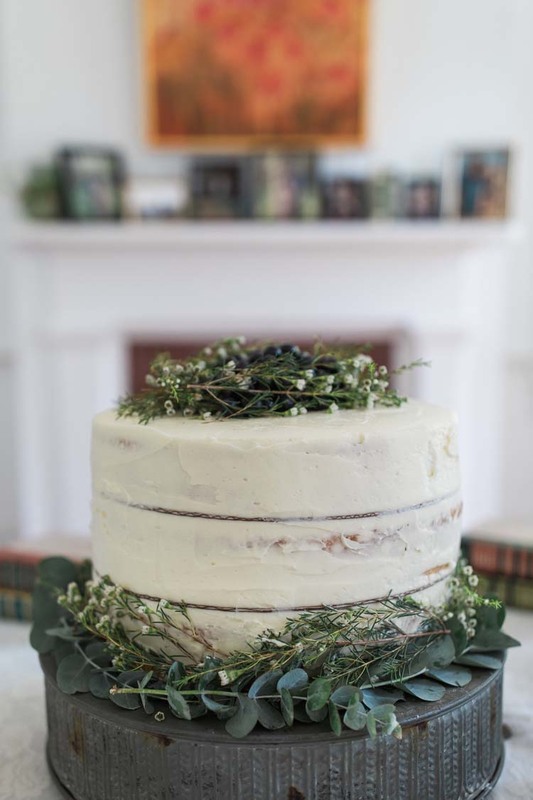 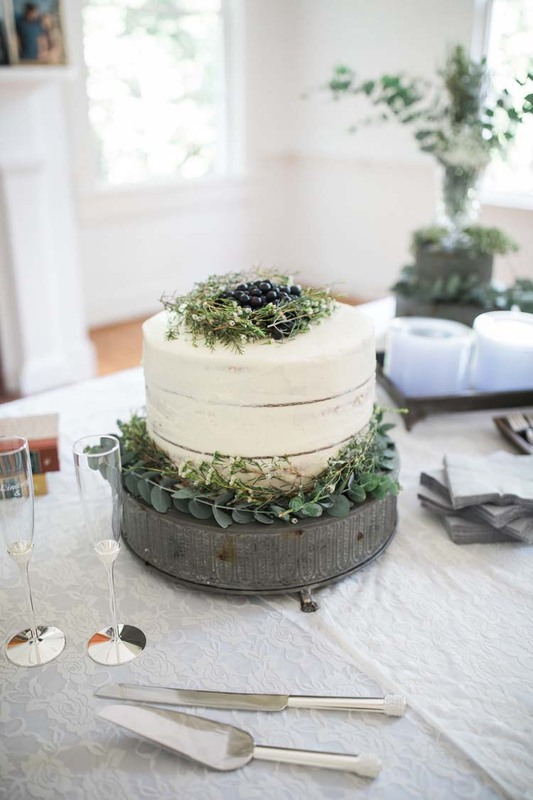 Martha’s Tea Room designed the cake (by Brittany Villers) and catered the reception. 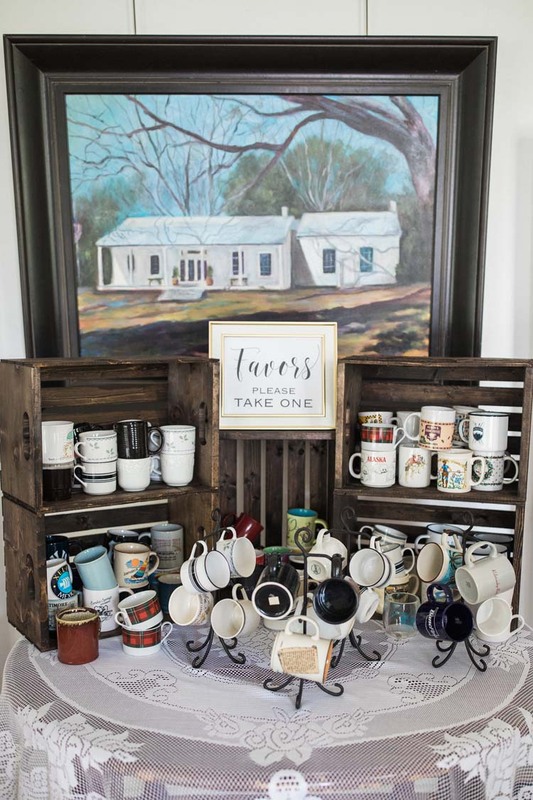 Thrifted mugs as wedding favors is our new favorite thing! 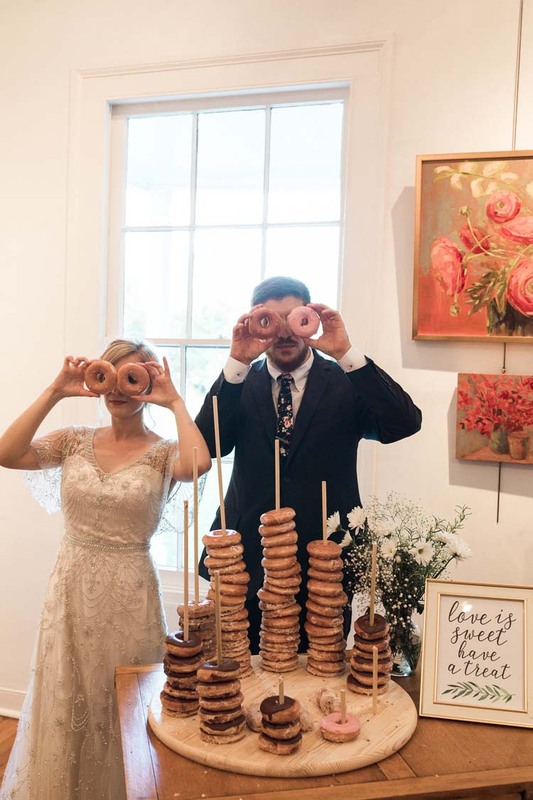 Advice from the newlyweds: donut take yourselves too seriously.